People are always raving about the hot new thing, be it the uber-hip restaurant that just opened up or the latest addition to the luxury hotel scene. We tend to like our attractions old and our establishments new, but there’s something to be said for businesses with staying power, whether that means keeping your doors open for a few decades, several centuries, or even a millennium or two. These brick-and-mortar ventures might be unknown to many of us, but they’ve been continually operating for way longer than most people can trace back their family trees. The Irish have been knocking back pints at neighborhood watering holes for what seems like forever, so it comes as little surprise that what many believe to be the oldest bar in Europe is located smack dab in the middle of the country. 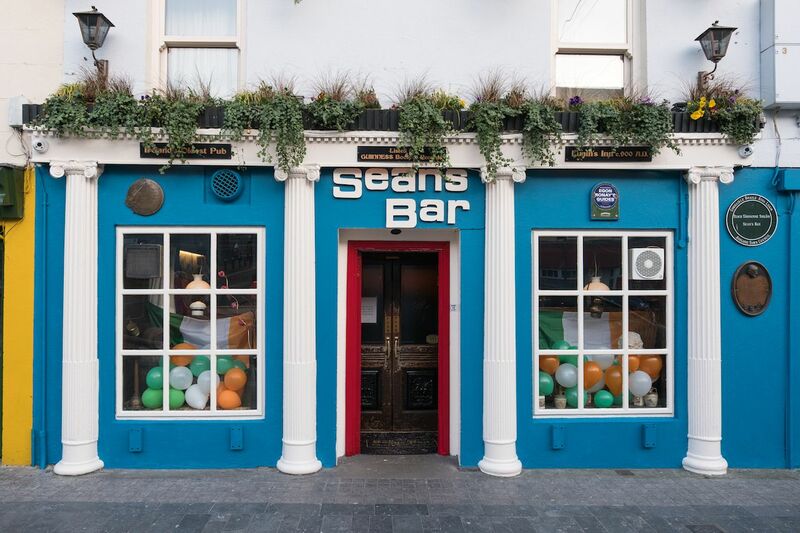 Sean’s Bar is situated in a tiny town on the River Shannon and has been since 900 AD, collecting records of its ownership and patronage over the years — rumor has it that Boy George even owned the place briefly in the 1980s. Today, visitors are invited to stop by for drinks and live music; you can also swing by the National Museum to see the pub’s original walls, as well as coins used by some of its earliest patrons. This venerable pharmacy (the world’s oldest) and perfumery in Florence has been around since 1221 when it was established by Dominican friars. Ingredients for tinctures were sourced from the monastic gardens and created to stock the site’s infirmary, but news of the monks’ talent for making healing balms and ointments quickly spread — by the 17th century, the pharmacy was open to the public. 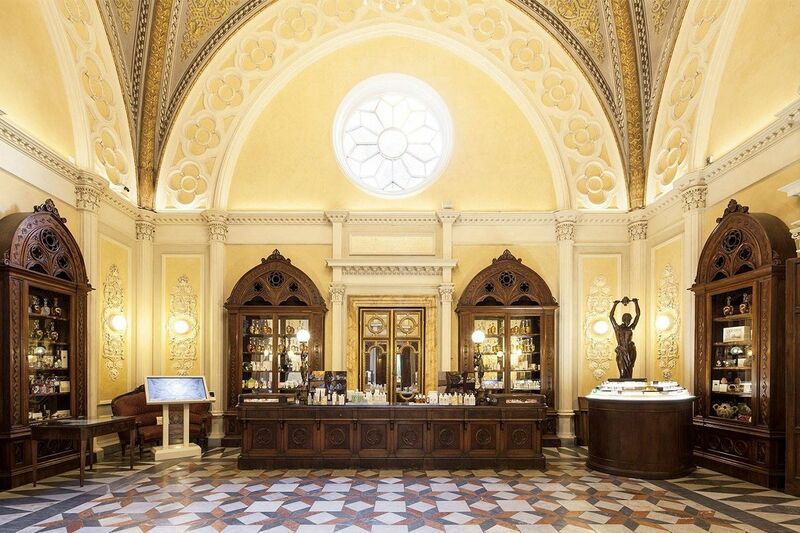 Step inside the Santa Maria Novella Pharmacy today and you’ll be pleasantly overwhelmed by fragrant perfumes and cosmetics, such as Acqua di Rose, which was originally sold as a disinfectant to combat the plague. Whether you want to browse, buy, or simply tour the onsite museum, you’ll find this historical relic just a few minutes away from the Santa Maria Novella train station. Tours are available for those interested. In business for over a thousand years, this serene hot spring hotel was founded in 705 AD by Fujiwara Mahito, and his descendants have been running it ever since. It’s located at the base of the Akaishi Mountains and sources its mineral-rich water from the Hakuho Springs — water which is said to aid with gastrointestinal issues and muscle pain, as well as provide skin benefits. Nishiyama Onsen Keiunkan has a total of six open-air and indoor baths, and 37 rooms available for guests. The rooms aren’t exactly cheap — you can expect to shell out at least $300 a night — but luckily the inn’s treatments are designed to wash away stress, including any concerns you might have about the pricetag. 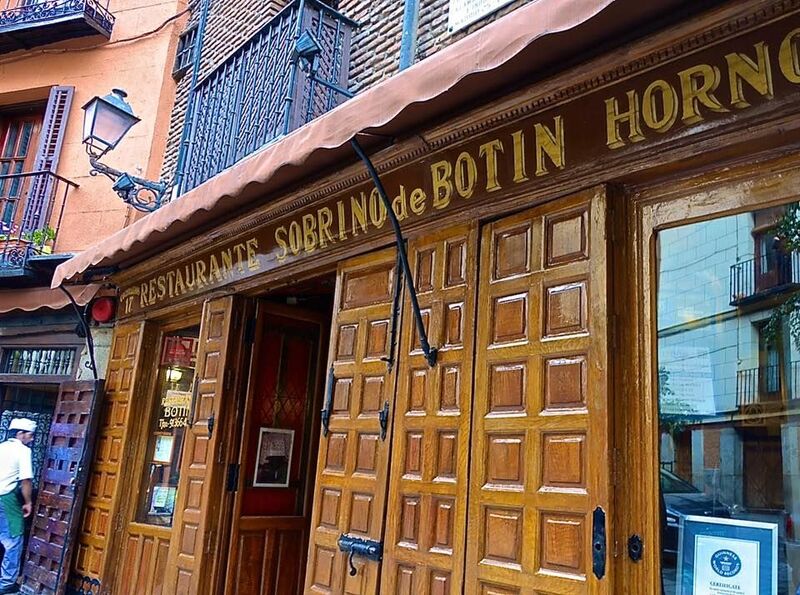 When you set foot inside Sabrino de Botín, dubbed the oldest restaurant in the world by the Guinness Book of World Records, it’s immediately apparent that if the cavernous brick walls could talk, they’d have some stories to tell. Instead, we’ll have to settle for Hemingway’s glowing accounts. The author was a huge fan of the restaurant’s suckling pig, or cochinillo asado — which is still prepared in the original 300-year-old wood-fired oven — and even gave the restaurant a shoutout in The Sun Also Rises. Sobrino de Botín was founded in 1725 by French chef Jean Botín and later inherited by his nephew, Candido Remis, who changed the name from Casa Botín. (Sobrino means “nephew” in Spanish). Guests have been dining in the bodega, Castilla room, and Felipe IV room ever since, reveling in the extensive menu and intimate tavern feel. Treat yourself to a zipper-busting meal then waddle over to Plaza Mayor — a short two-minute walk away — to digest in one of Madrid’s most popular and equally historic squares. Petra is a breathtaking archeological city carved into cliffs and one of the last places you’d expect to find any semblance of nightlife. Located in a 2,000-year-old tomb built by the Nabateans, the Cave Bar is a historic drinkery just outside the entrance to Petra — which makes it an excellent place to stop for a refreshment after winding through the Siq and gazing up the Treasury like Indiana Jones himself. 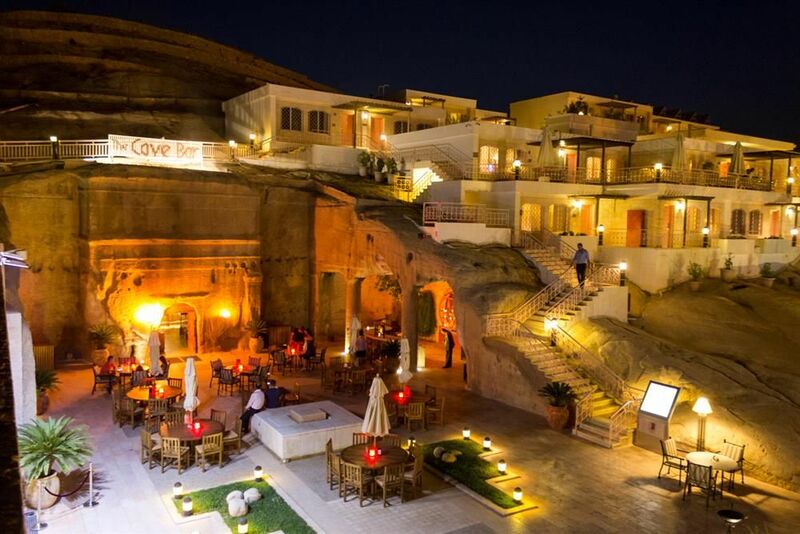 Deemed the oldest bar in the world, the Cave Bar sits next to the Petra Guest House Hotel, so you can go straight from Bedouin beverage to bed. While the bar is right inside the craggy cave, much of its seating is arranged on a piazza where patrons can sip cocktails under the starry sky. Just be warned that the Cave Bar has a reputation for being overpriced, so you may spend more time drinking in the atmosphere than the alcohol. Beer brewing is a millenia-old tradition tracing at least as far back as Mesopotamia (modern-day Iraq), though it has since come to be associated with various countries around the world. Chief among them is Germany, the beer-obsessed nation behind Oktoberfest, which also houses the oldest continuously operated brewery in the world. Weihenstephan was established roughly a thousand years ago by monks from a Benedictine abbey. It has since modernized its brewing equipment but proudly maintains its traditional beer-making process (and clearly, it’s been doing something right). 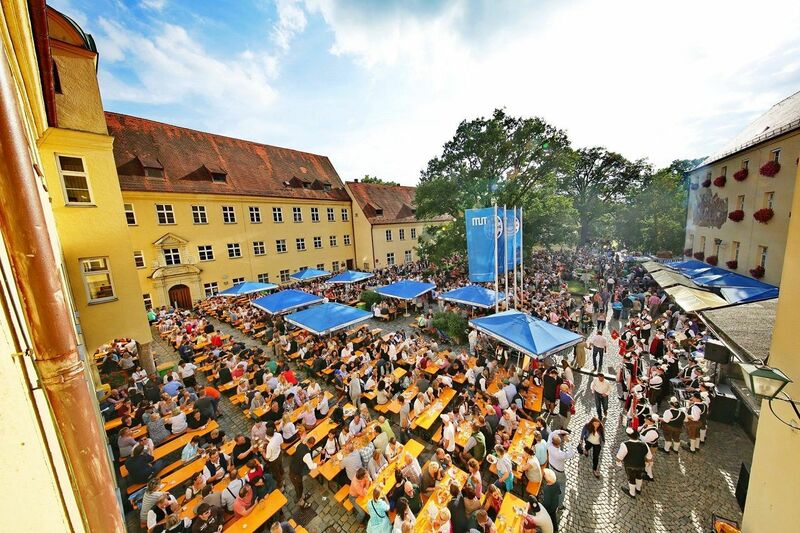 Patrons will find a range of dark and light wheat beers at Weihenstephan, as well as a handful of special brews, including non-alcoholic options. Of course, no visit would be complete without the hour-long, eight-euro tour, which also includes a tasting. This famous foundry was established by the Marinelli family in 1040, earning it the title of Italy’s oldest family business. 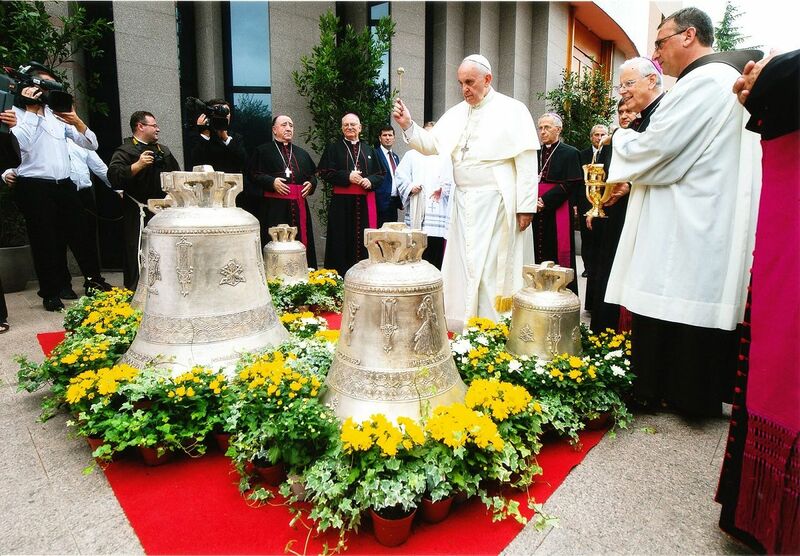 The Pontificia Fonderia Marinelli specializes in making and restoring bells though it has also been known to create reliefs — sculptures carved into solid backgrounds — and various church artifacts. In fact, the Roman Catholic Church has been the foundry’s biggest client since 1924 when it was recognized by the Vatican and allowed to use the Papal Coat of Arms. Visitors can drop by the foundry and check out the onsite museum where several bronze beasts are on display. Just be sure to plan your visit in advance because the museum’s hours change seasonally.